In 1969 Indiana University and Purdue University merged their Indianapolis schools and programs to create IUPUI. That year Maynard K. Hine, D.D.S., the dean of the IU School of Dentistry, became the campus’s first chancellor. Since then IUPUI has benefitted from the leadership of a series of visionary chancellors who have helped it become Indiana’s premier urban research university. Charles Bantz became the fourth chancellor of IUPUI in 2003, guiding the IUPUI campus through a period of growth and unprecedented student success. A champion of urban-serving universities, Bantz strategically focused IUPUI’s teaching, research, and engagement in support of Indiana’s economic clusters. Under his leadership, IUPUI launched the IU Lilly Family School of Philanthropy, the first school of its kind in the world, and the IU Richard M. Fairbanks School of Public Health. He also led the creation of more than 25 twenty-first-century degree programs to enable students to be competitive in the job market. During Bantz's chancellorship, the number of bachelor’s degrees awarded increased by 66 percent. There also was a 61 percent increase in external research awards, including significant support for humanities and social sciences as well as medicine, engineering, and science. He and his wife, Sandra Petronio, a professor in the Department of Communication Studies at IUPUI, founded the Center for Translating Research Into Practice and endowed the Bantz-Petronio Translating Research Into Practice Faculty Award. He also presided over unprecedented physical changes to the campus, including the opening of the Campus Center and the addition of nearly 1 million square feet of research and academic space. Bantz earned a bachelor’s degree in English education and a master’s degree in speech communication from the University of Minnesota and a Ph.D. in communication from Ohio State University. 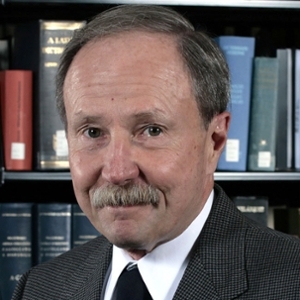 Gerald Bepko joined the faculty of the Indiana University School of Law at IUPUI in 1972, becoming a full professor in 1975, associate dean for academic affairs in 1979, and dean of the law school in 1981. 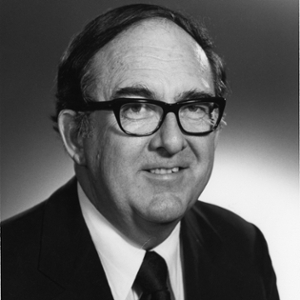 In 1986 he was appointed the third chancellor of IUPUI. Bepko led an initiative to unify the various programs of IUPUI by bringing three important schools to the West Michigan Street campus: the Purdue University School of Science, the Purdue University School of Engineering and Technology, and the IU Herron School of Art. During his tenure, enrollment grew nearly 25 percent and external support for faculty activities increased from $38 million in 1987 to more than $200 million in 2003. Twenty-four new graduate-level programs were created with minimal new state funding in fields such as biomedical engineering, information science, bioinformatics, philanthropic studies, and public health. Bepko also led a renewed emphasis on undergraduate education that culminated in the establishment of University College in 1998. Glenn Irwin, a native of Roachdale, Indiana, received his B.S. from Indiana University in 1942 and his M.D. from the IU School of Medicine in 1944 while serving in the U.S. Army. He was appointed an instructor in the IU School of Medicine in 1950 and was dean of the school from 1965 until 1973, when he was appointed chancellor of IUPUI. During Irwin’s chancellorship, IUPUI’s visibility and respectability as an academic institution increased dramatically. Enrollment grew from fewer than 17,000 students to more than 23,000, full-time faculty increased from 800 to 1,300, and the operating budget of the university increased from $97 million to $409 million. He also is credited with transforming the IUPUI campus through the expansion of the IU Medical Center and the addition of numerous facilities, including the the Business/SPEA building, the School of Law building, the Tennis Center, and the Ronald McDonald House. Maynard K. Hine was the first chancellor of IUPUI and the first Hoosier elected president of the American Dental Association. In 1944 Hine joined the IU School of Dentistry as professor and chairman of the Department of Oral Histopathology and Periodontics. The next year he was appointed dean of the school, a position in which he served until 1968. As head of the American Dental Association, he campaigned for fluoridation of drinking water and for programs to improve the dental health of underprivileged children. 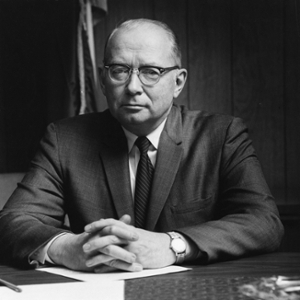 In 1969 he was appointed chancellor of the newly established IUPUI. 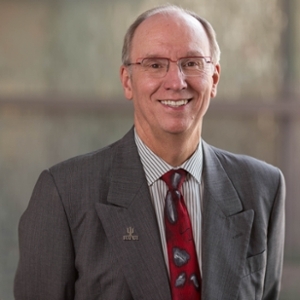 His leadership during the first years helped build the foundation that has brought IUPUI to its present standing as Indiana’s premier urban research university.